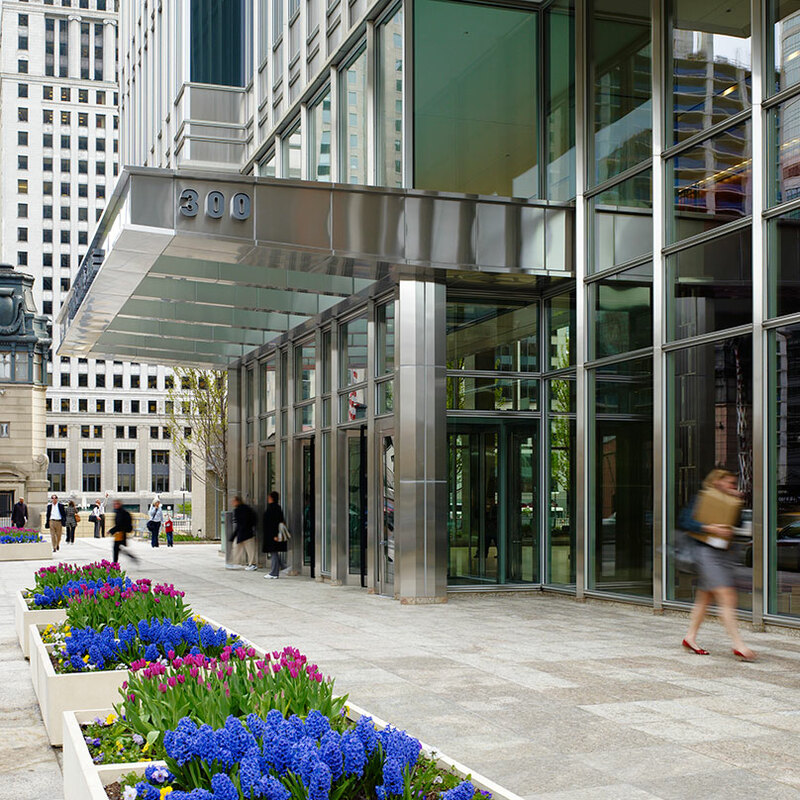 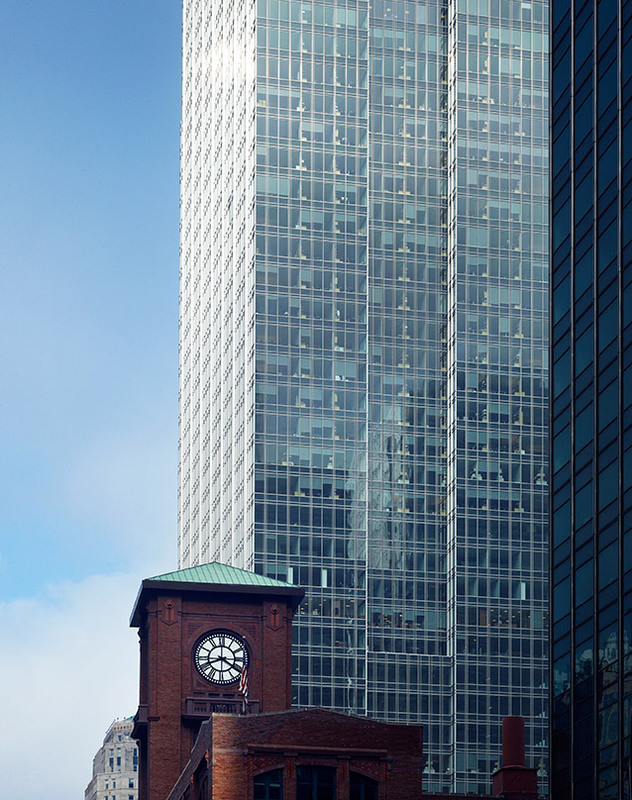 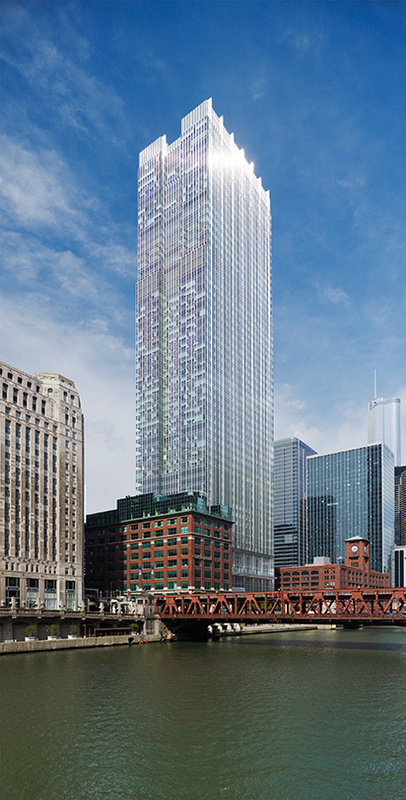 300 North LaSalle pays homage to Chicago’s tradition of famous, early skyscrapers with richly articulated facades. 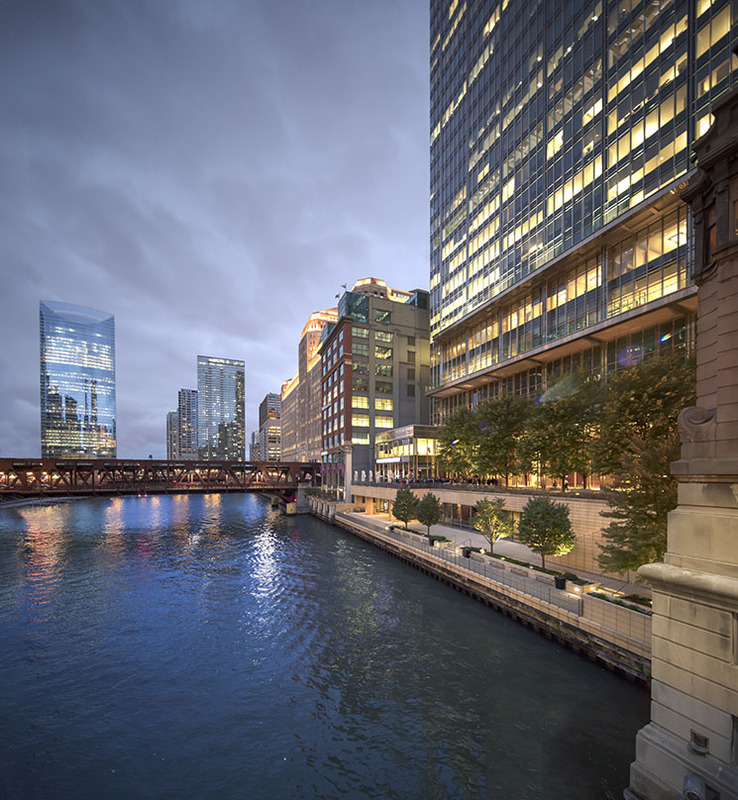 The project also honors Chicago’s commitment to its public waterfronts. 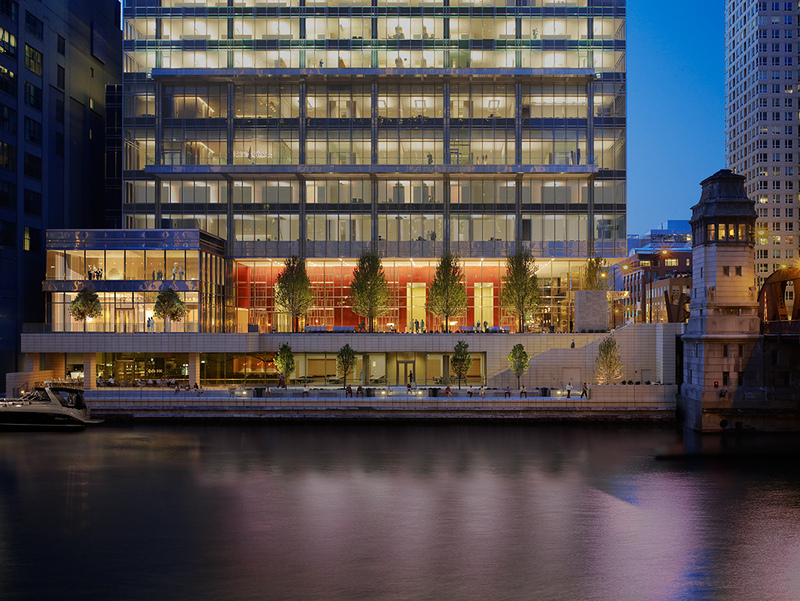 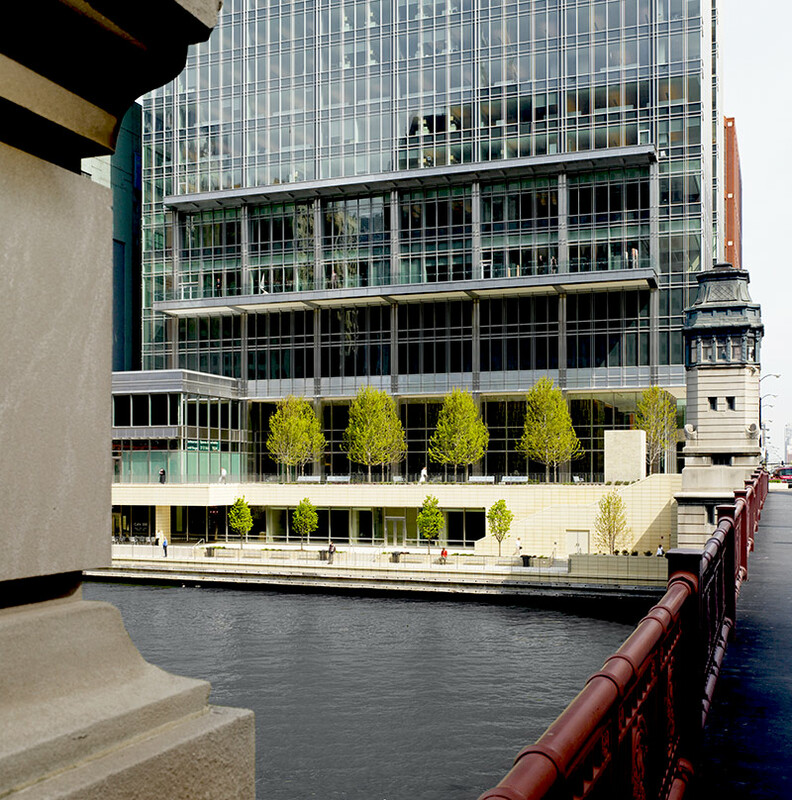 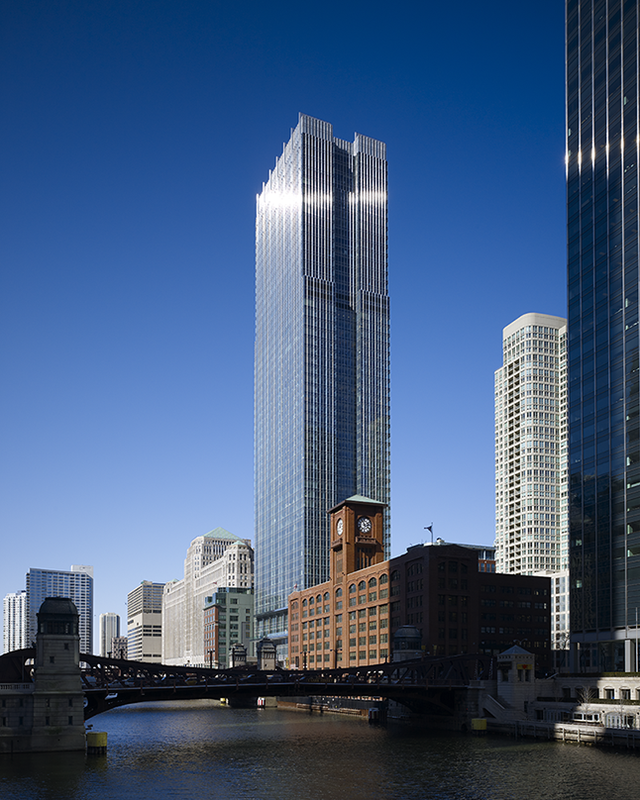 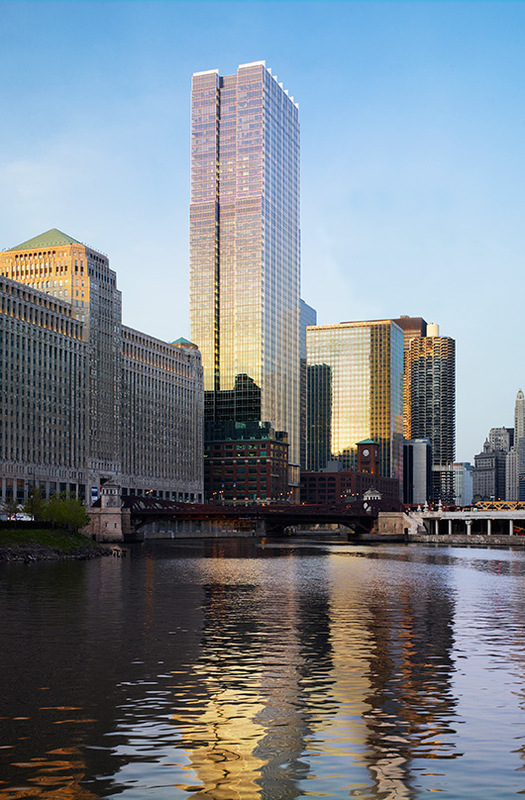 The tower presides over a half-acre, sunlit, riverfront public garden, with landscaped terraces cascading to the Chicago River. 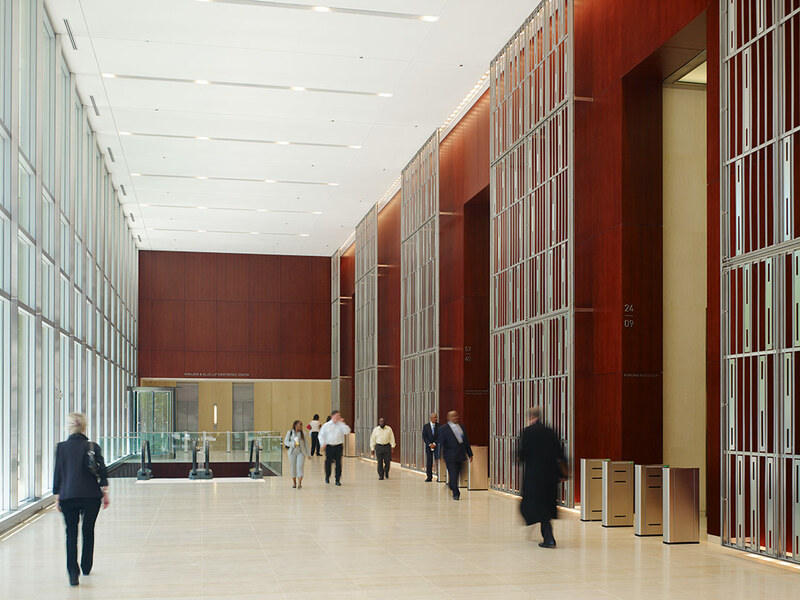 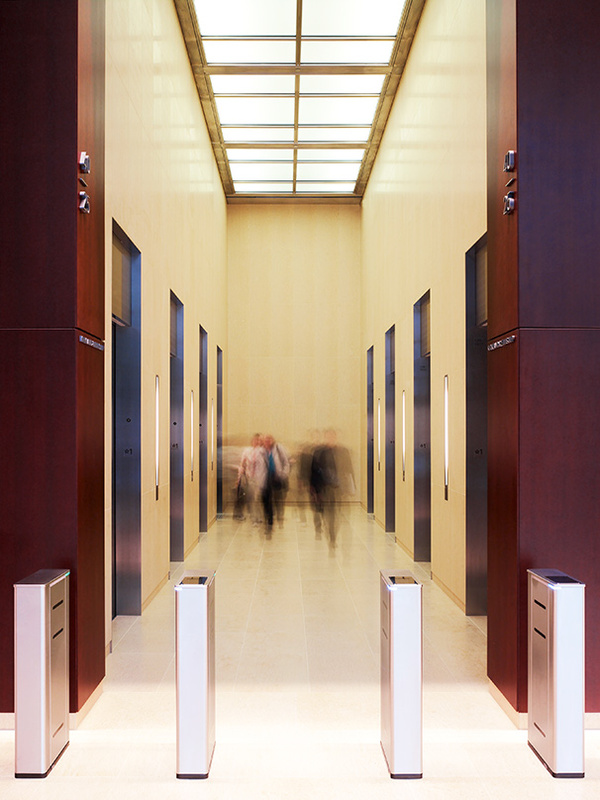 With nearly sixty stories of offices, 300 LaSalle boasts shops, restaurants, and public spaces as well as generous sub-grade parking. 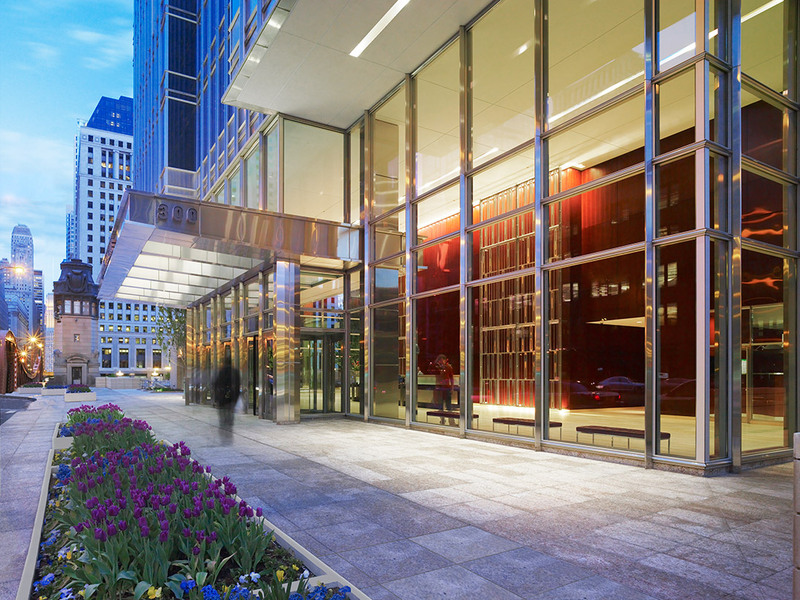 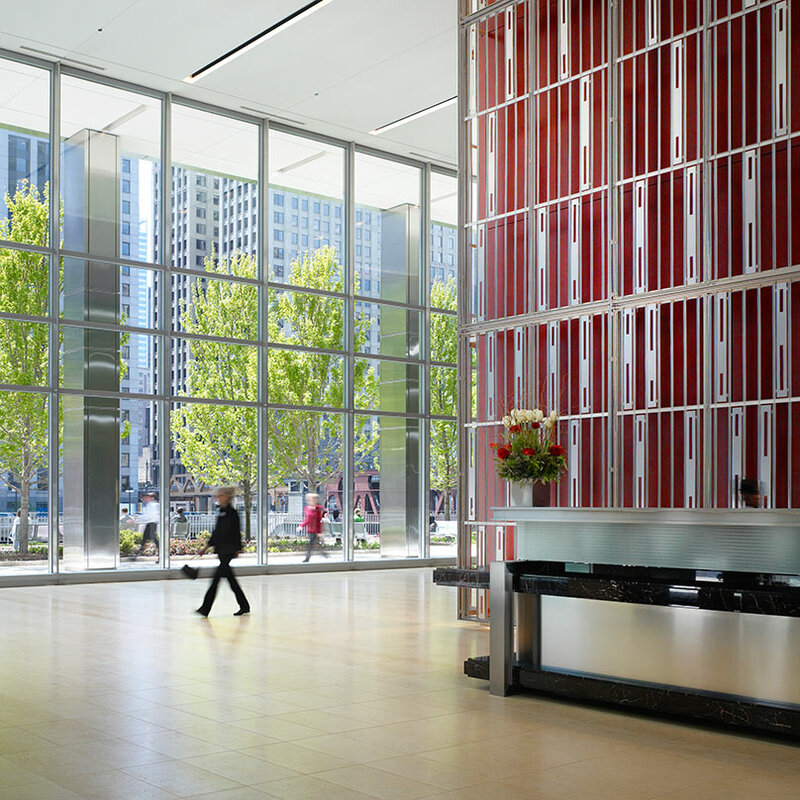 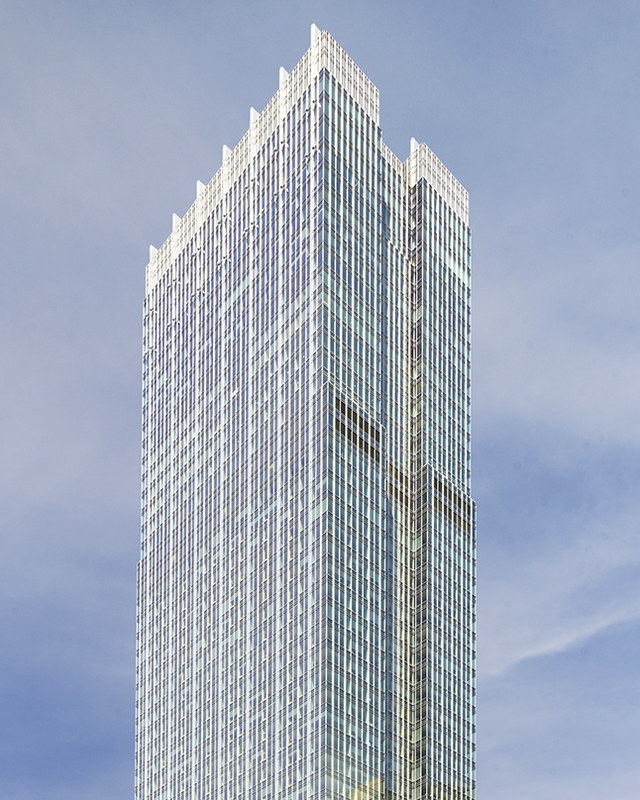 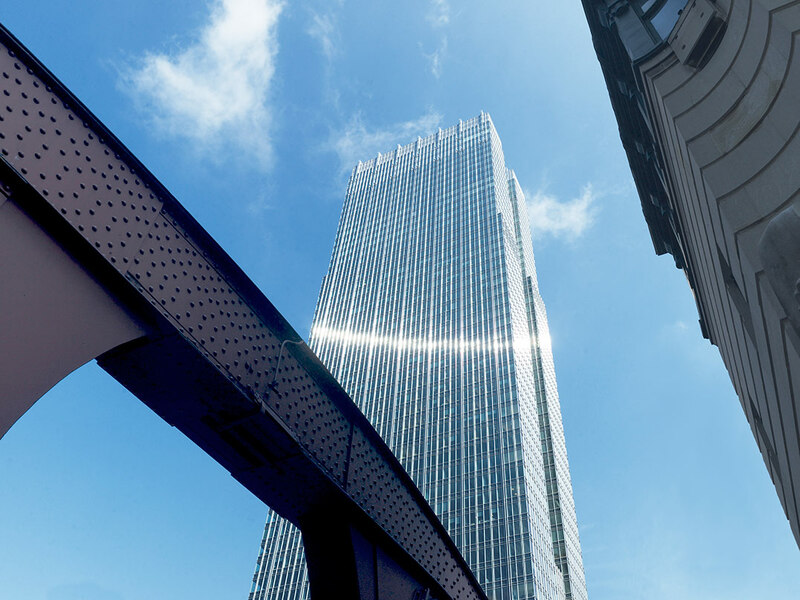 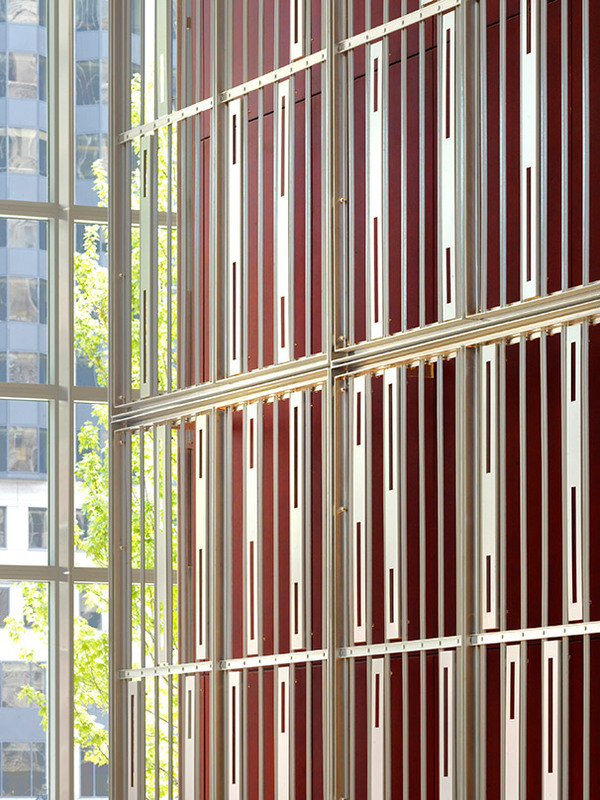 The low-E glass facade of the LEED-EB Platinum–certified building maximizes daylight and views of the city skyline while minimizing solar heat gain. 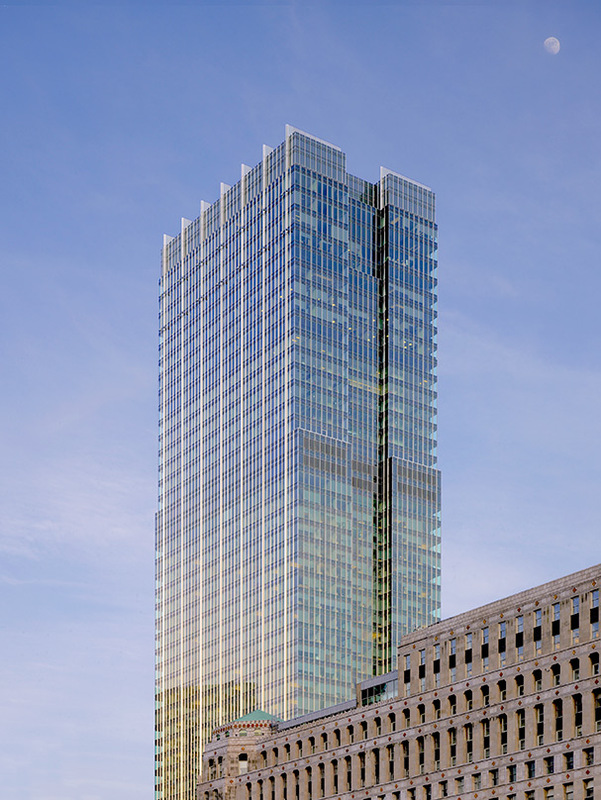 Featuring warm and elegant interior materials, the tower is efficient and flexible in interior planning, has a fifty-percent green roof, and uses condenser water supplied by the river, thus eliminating cooling towers and 10 million gallons of evaporation annually.